Bill learned the bagpipes under the instruction of Donald Shay Ramsey & John D. Burgess, Ian Whitelaw, and J. William Merriman. He has had the distinction of performing for Queen Elizabeth during a state visit and two former U.S. Presidents. Additionally, Bill has won many international solo piping competitions and has competed with several pipe bands in the World Pipe Band Championships in Glasgow, Scotland. Bill plays a stunning set of sterling silver and ivory mounted, African blackwood Henderson bagpipes (dating back before WW1) and Sinclair or Hardie bagpipe chanter that produce a beautifully warm and full sound. 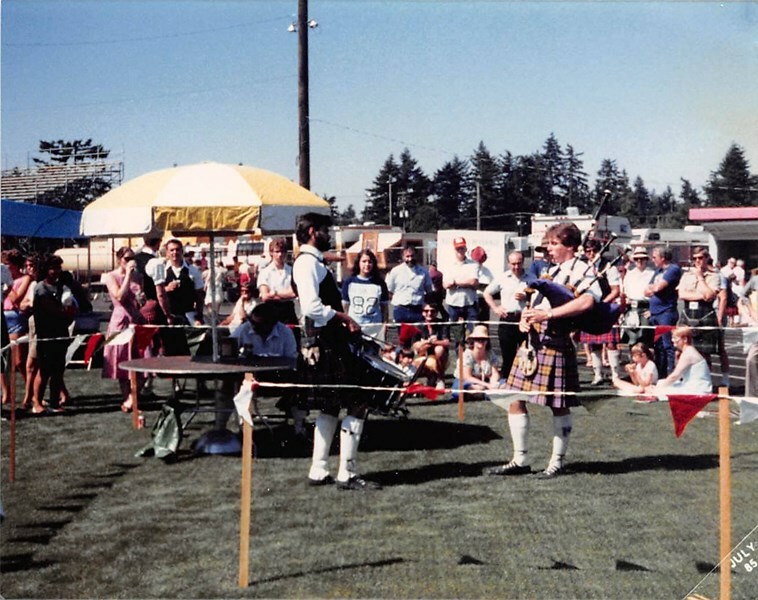 As a member of the British Columbia Pipe Band Association (BCPBA) and Western United States Pipe Band Association (WUSPBA), he is committed to making your event successful.